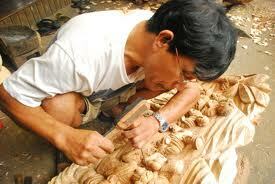 This unique experience with a master wood carver is suitable for all ages and abilities. Working side by side, using the traditional simple tools, you will experience the insight that creates the fantastic wood carvings found in Bali. Your teacher will assist you to create an original carved egg; carved mask or animal. 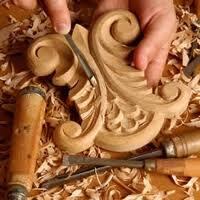 Bring the kids and spend a half day learning the ancient craft of wood carving. Our wonderful instructors can skillfully guide a novice wood carver to find the mask, the animal or the shape that is ‘hiding” inside each block of wood. Bali’s wood carvers are known throughout the world for their intricate and nuanced wood creations that adorn nearly every abode on the island. It’s a craft inherited from one family generation to the next. Don’t miss the opportunity to sample this extraordinary craft while on the island. We want everyone to enjoy the wood carving experience and to have a chance to stretch their creative muscle while vacationing in paradise. I thoroughly enjoyed myself and learnt so much from Sulendra (painting instructor). He was very encouraging and a good teacher. I loved the class (Batik class). The instructor was absolutely lovely and the food was delicious. I made a beautiful picture of a flower that I will cherish forever. Thank you so much for a wonderful afternoon. Lovely workshop (silver class) especially for mothers and daughters. Great tea and snacks and a fantastic ambiance. The instructor is friendly, a good teacher and the products are a good memory to take home.